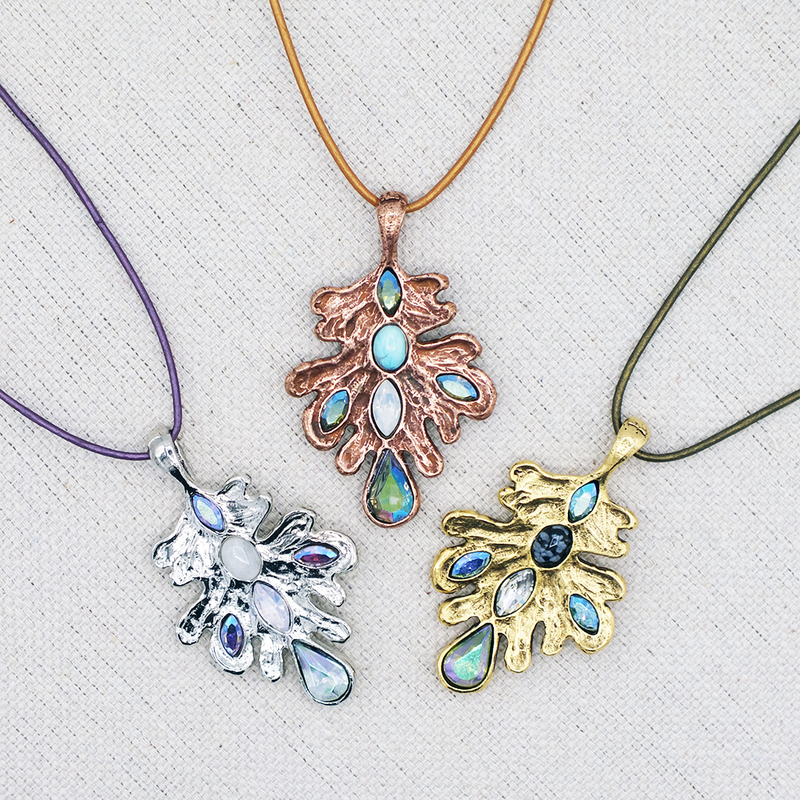 Crystals and semi precious stones set in an oak leaf shape. 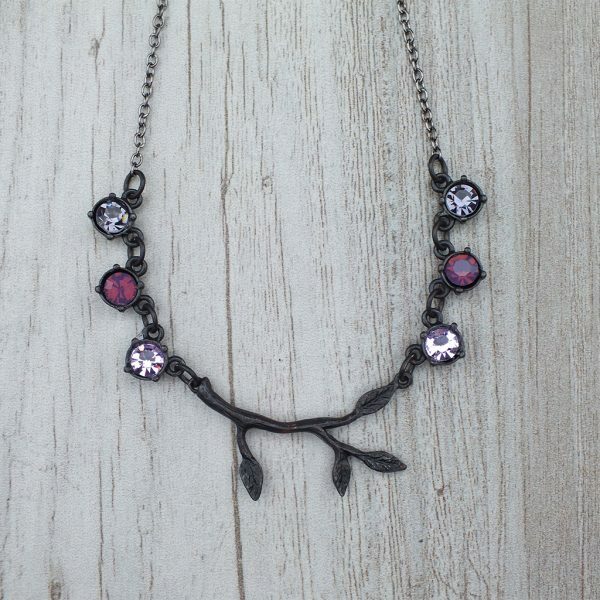 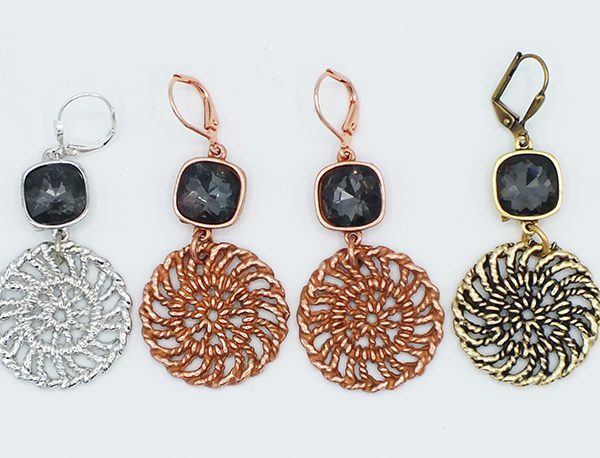 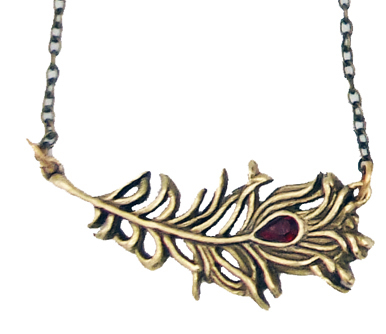 Oak leaf shaped casting with crystals and semi precious stones that may vary slightly. 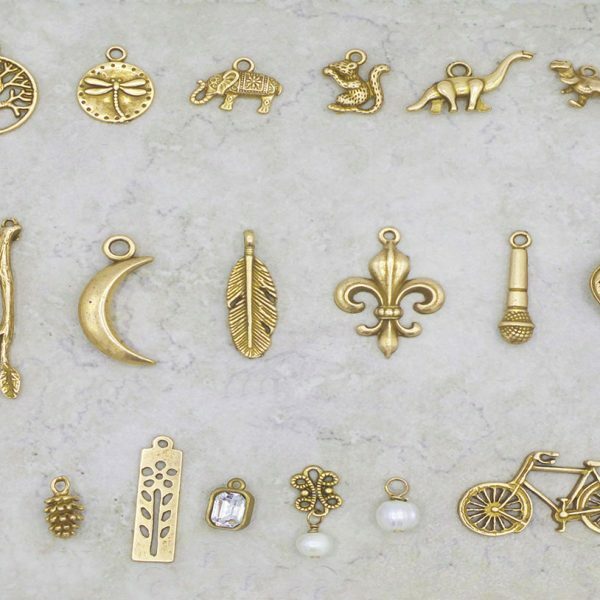 Available in plating matched 48″ long leather cord or chain. 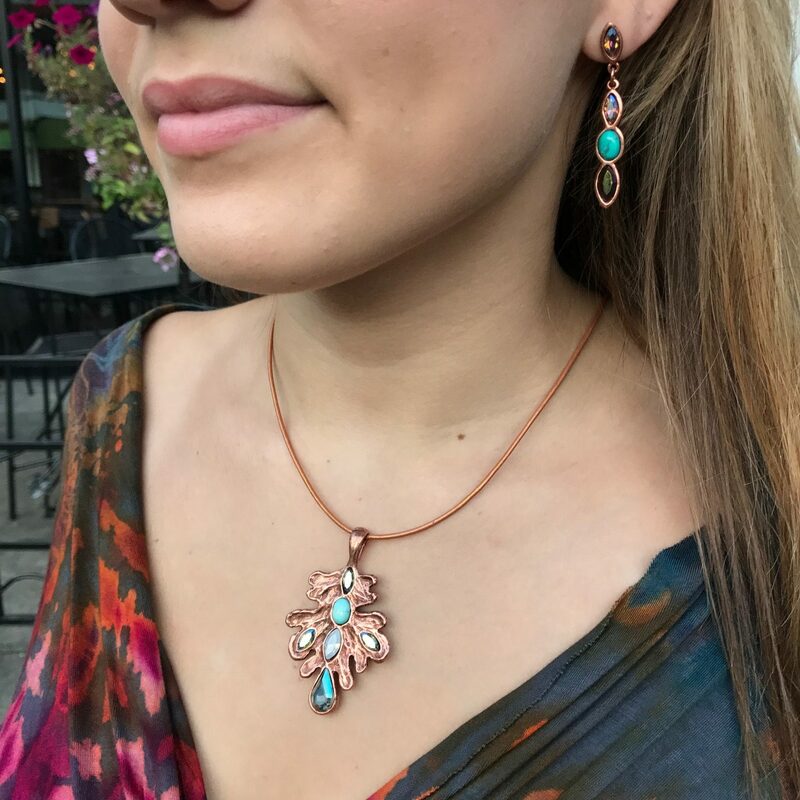 Model is wearing E1161 – 3 pod earrings on crystal stud.